What does SMH mean? If you've been online or received a text that made you wonder what the acronym means, you came to the right place. SMH is a popular online acronym that teens and young adults love to type into their social media posts or in text messages to express the same physical body language of shaking their head in disappointment, disagreement and/or disbelief. It might be in response to somebody else's behavior, an event that took place, or the state of a situation. Regardless of why, the only response you can muster is to shake your head. "The Purple Eagles totally should've won that game! They had it when Pizzaburghenshire made that shot!! Smh." You: "I need the car this Saturday, so you'll have to find another way to get to your weekly Nakuro Dragonflame X meeting." There aren't any strict rules at all for using this acronym. You can type it in all uppercase letters, all lowercase letters, with a phrase or on its own. All you really need to remember is that SMH is used to emphasize a more expressive reaction that words alone can't really communicate. And besides, "smh" is a lot easier and faster than typing, "I'm shaking my head in disbelief," or something similar. If you do decide to use it yourself, keep in mind that not everyone will know what it means — especially older adults and people who only use the internet/social media on a very casual basis. Take the people you're communicating with into consideration and your relationship with them to predict whether they'll be able to easily interpret the meaning of SMH or not. If you want to see more examples of this acronym used in the wild, search for the term or hashtag on some of your favorite social networks. Twitter, Instagram, and Tumblr are good places to start since lots of people with public profiles/blogs use the term or tag (#smh) in their posts. 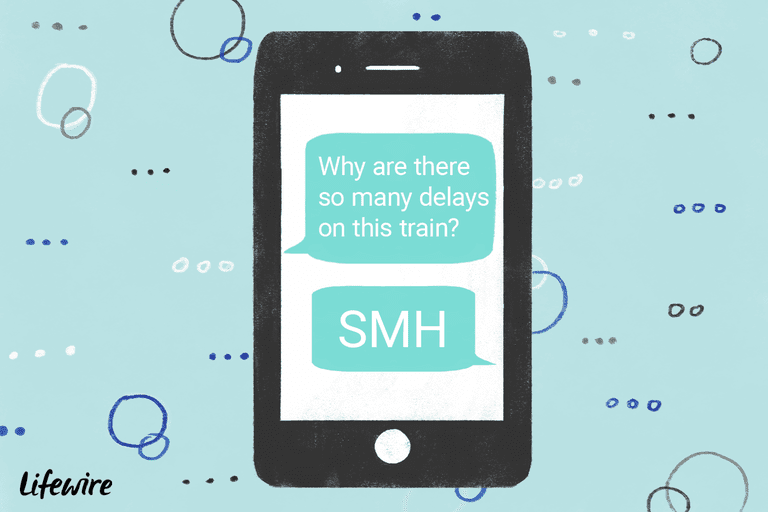 Acronyms like SMH and other abbreviated words are part of a big trend in online communities or private messaging that help people save time while also adding an extra emotional response which may be more difficult to express with words alone. As the world continues to embrace mobile web browsing and instant messaging, you can expect trends like wth, smh, tbh, bae and all the rest of these crazy short-form words to only show up more in your everyday online use, along with newer ones that will probably pop up in the future.